What is the art of wine tasting? Wine tasting is the ability to analyse perceived sensations and transcribe them, using a simple but precise vocabulary and method. 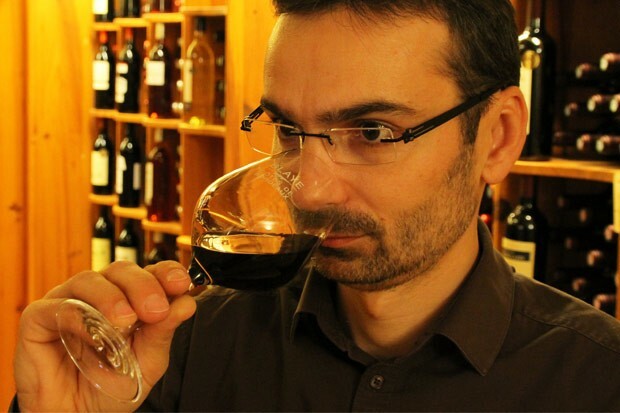 Everybody has the potential to be a good wine taster – perhaps you just don’t know it yet! Your first contact with the wine is through sight. The colour, intensity and limpidity will help you to assess its aspect – what it looks like. Colour shade is an indication of a wine’s age. For Blaye Côtes de Bordeaux reds, the colours range from violet for the youngest wines to an orange hue for the oldest. For Blaye Côtes de Bordeaux whites, the spectrum ranges from pale yellow to gold. The intensity of the colour depends on the vintage, dominant grape variety, terroir and time spent macerating on the skins. The limpidity is the clarity and sheen or possible cloudiness of a wine. The aim here is to put words to smells, recognising aromas by analogy with the whole range of fruit, flowers, spices and other aromatic substances found in nature. You will often have stored these aromas in your memory since early childhood! The first nose reveals the subtle but fleeting aromas released when the wine has just been poured into the glass. The second nose appears after the wine has been swirled in the glass. Airing the wine helps to release new, more intense aromas. Blaye Côtes de Bordeaux reds, in which Merlot predominates, display fruity and slightly spicy aromas. Blaye Côtes de Bordeaux whites, in which Sauvignon predominates, display aromas of citrus fruit and broom. This is the most complex part of tasting. The aim is to describe the flavours you experience, but also to perceive the wine’s structure through three phases, the attack, the palate and the finish. Blaye Côtes de Bordeaux whites, it may be firm, fresh or fleeting. The palate is the impression the wine procures in the mouth. It is mostly at this point that the flavours are perceived. You will often find the same flavours as on the nose, but you will also generally detect other ones too. The finish is the sensation left after the wine has been swallowed or spat out. You have the impression that the wine is still in your mouth: that is the persistence of the flavours. It expresses the length of a wine, measured in caudalies (1 second = 1 caudalie). And don’t forget: wine tasting should be first and foremost a pleasure!